Of the people I know, it is only those who have already made it to the top or those who were born into privilege and grew up with a massive margin for error who still believe that social mobility is still alive in the UK. The ability to move between social classes, such a feature of post-war Britain, has ground almost to a halt. The finger of blame points to our education system, and in particular the “closed-shop” of private school pupils going to Oxbridge, getting the best jobs then hiring people with a similar background. 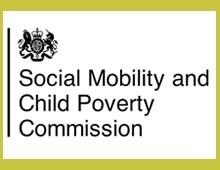 According to the Social Mobility and Child Poverty Commission, only 7% of members of the public attended a private school. But 71% of senior judges, 62% of senior officers in the armed forces, 55% of permanent secretaries in Whitehall, 53% of senior diplomats, 50% of members of the House of Lords and 45% of public body chairs did so. So too did 44% of people on the Sunday Times Rich List, 43% of newspaper columnists, 36% of cabinet ministers, 33% of MPs, 26% of BBC executives and 22% of shadow cabinet ministers. – schools to redouble efforts to close the attainment gap between advantaged and disadvantaged pupils. Now, I am all for social mobility. But it has to be achieved by offering opportunities to the disadvantaged to succeed, by ‘levelling up’ not ‘levelling down’. Read those recommendations again. “University-blind” applications so they don’t know where people were educated? Really? Are we really going to downgrade academic excellence in favour of social engineering to such an extent? Let me ask you that question another way…if someone in your family is about to have a brain operation, do you want them operated on by the best person? Or does social background matter more? What do you think? I am justifiably proud to teach at a school which has 10% of its pupils on bursaries that are mostly 100% of fees and at least 75%. I am even more proud of our aim to offer bursaries to 25% of our pupils in 10 years. I know that if all private schools had the same focus on scholarships, we could make a difference to so many disadvantaged pupils. Given that attempts, ranging from grammar schools, to setting, to some of Michael Gove’s reforms, to give similar opportunities to bright pupils from the poorest of social backgrounds have been resisted for a variety of reasons, it seems that the chances of state schools closing the attainment gap between pupils from advantaged and disadvantaged backgrounds by levelling up are light. This is the real shame. Ending unpaid internships will nibble around the edges, and I will write about that further in a future blog, but the answer to social mobility lies in two places. End the causes of extreme poverty, because however good schools are you can’t learn if you are hungry. But more importantly don’t put the winning of an election above the difficult challenge of reforming the education system to help all pupils begin to receive the type of education private school pupils receive. Sadly, neither look likely under our current political culture. Thanks for sharing these interesting stats about how the 7% of kids in Private schools compares with the percentages of people with private school backgrounds in various senior positions. I agree with you that good quality state school education is the key to “levelling up” and the main driver of social mobility in any society. This is why I became a teacher 3 years ago (after previously being a management consultant, sound familiar!). So I’m intrigued as to why you switched to the private sector after 4 years. Hi Mark and thanks for your comment and question. 4 years ago I had my second child and decided I wanted to be around for my children when they were young, so I approached the nearest schools to me. The local state school didn’t reply to my email or letter or even phone call, Latymer invited me for interview. As a father the fact that I was able to drop my kids at nursery in the morning, walk to school, then walk back and pick them up in their earlier years meant more to me than anything else. Would I find working in the state sector more fulfilling? Yes in certain ways, because I can help change young peoples’ lives much more starkly, and where I am does mean in a way I am talking the talk more than walking the walk. But my time at a state school in North London at least means I did walk it at one point. At different times in people’s lives, their priorities change.